Book your stay at your Groveland motel today and prepare to enjoy beautiful Groveland, California located right next to Yosemite National Park. Attractions in this area are perfect for family vacations and outdoor enthusiasts. Yosemite offers breathtaking views of nature and endless outdoor activities. What you can do during your stay at your Groveland motel all depends on how long you plan to stay. 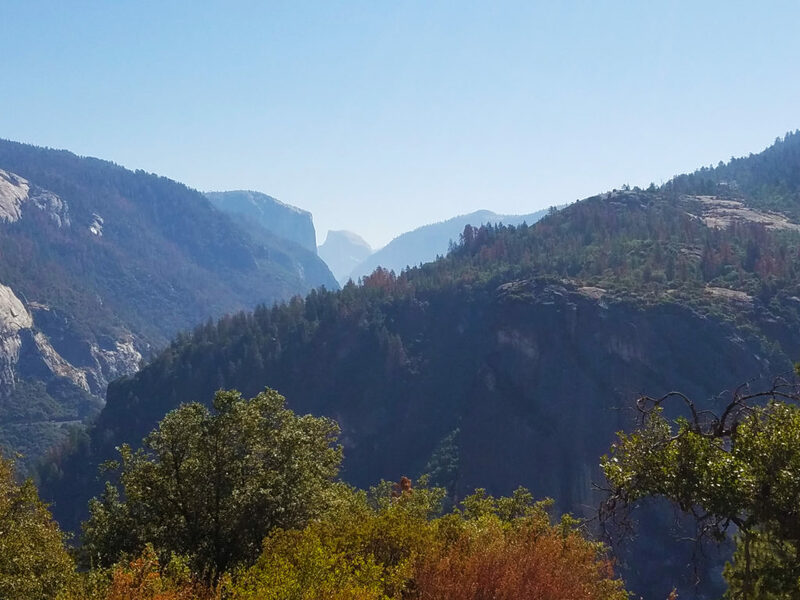 One thing is for sure though; you won’t run out of fun activities and things to do in Yosemite and the surrounding area. Yosemite is the perfect destination vacation the whole family will enjoy. Reserve your room, suite, or cabin today to be 15 minutes or 10 miles from the Yosemite National Park entrance. No other Groveland motel offers the convenience and ease of access to the park that Yosemite Riverside Inn does. Come and see for yourself why Yosemite National Park makes for such an excellent vacation. Tunnel View – this turnoff offers a spectacular view of the entire Yosemite Valley. Visitors say it is one of the best views of the park. Bridalveil Falls – beautiful, 600 foot waterfall. Offers some of the best scenic Yosemite hiking. Yosemite Village – Yosemite Village is home to: Yosemite Park Visitors Center, Ansel Adams Gallery – art gallery, Yosemite Museum – art gallery, Indian Village of Ahwahnee – demonstrations of how Native Americans lived. Learn basket weaving, beadwork, and game playing. Yosemite Falls – two waterfalls that form the highest waterfalls in North America measuring 2500 feet tall. The world’s largest piece of granite, measuring 3,600 feet tall. The photo above brings to life a view of El Capitan to the left and Half Dome on the right. 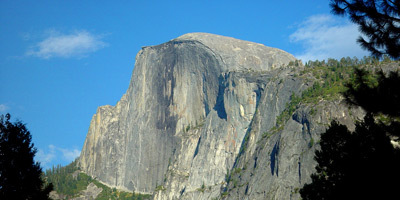 Half Dome – a granite dome that raises more than 4,700 feet above the valley floor. Those seeking advanced Yosemite hiking can the climb the dome. Valley View Turnout – another turnoff at the exit that displays the entire Yosemite Valley beautifully for pictures and viewing. One of the greatest natural wonders found throughout Yosemite Park are the 3,000 year old giant sequoias. These trees are more than 50 feet around and can reach up to 300 feet tall making you feel as small as an ant. Hike paths that take you among the sequoias for a serene experience. Mariposa Grove – Largest grove of sequoias in the park with two of its tree among the 25 largest sequoias in the whole world. Mariposa Grove offers beautiful hiking trails for both beginners and advanced hikers and also a tram. Location: at the south end of the park, 35 miles south of Yosemite Valley, in Wawona, CA. View a map. 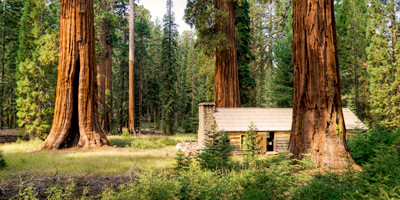 Tuolumne Grove – is less visited than Mariposa Grove providing a more secluded experience. Location: south end of park near Crane Flat. Hike Information. Merced Grove – slightly popular hike through groves of giant sequoia trees. Location: North of Yosemite Valley, take 120 north 13.5 miles to the well-marked trailhead. Hike Information. Nelder Grove – located outside of the park by 20 minutes. Smaller grove that is less crowded and peaceful than any other grove. Location: Off of Road 632 south of the park. From there, follow the signs – it is called the “Shadow of the Giants”. Hike Information. Pioneer Yosemite History Center – after a long day hiking relax at the pioneer history center for free where they have workers dressed up in costumes specific to each building’s period and play the life of a person from that era. Enjoy a Stagecoach, an old covered bridge, and a blacksmith working over a flame while pounding out iron as you watch. Mono Lake – Mono Lake is over 65 sq miles long and makes for a geologist’s paradise. The lake is very salty and is lined by alkaline. The lake also has islands of inactive volcanoes. The lake is well known for its tufa, which are intriguing towers and spikes of rocks that appear up through the water up to 30 feet high. The lake and basin area provide excellent hiking, swimming, boating, bird watching, and photography. Location: Just off of Highway 395, 13 miles east of Yosemite National Park near Lee Vining, California. Access is easiest over the Tioga Pass. Saddlebag Lake – The 20 Lakes Basin area includes the region behind Saddlebag Lake where there are many smaller lakes including McCabes Lakes. This area is great for hiking and provides spectacular views. The lakes are stocked with trout and a small shuttle boat is available to take you to the opposite side of Saddlebag Lake. Location: just outside of Yosemite Park in the Hoover Wilderness. Rainbow Pool (pictured on the right) is a natural made swimming hole located half a mile from the motel. 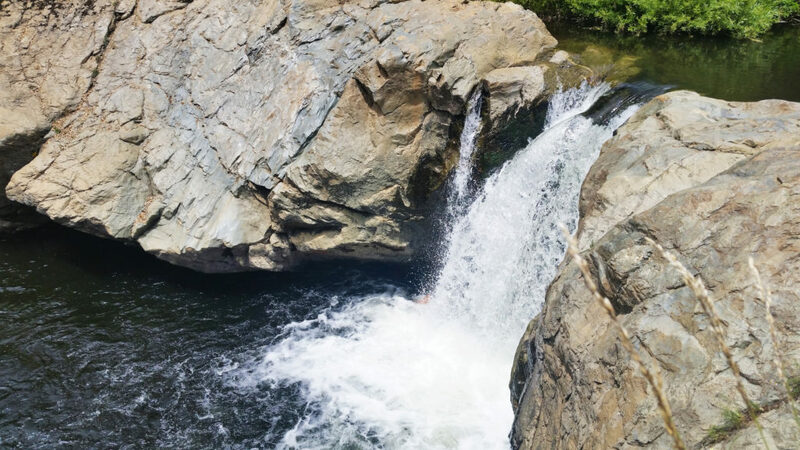 It forms from an outlet of the river with a beautiful waterfall that has become a local favorite that is kept a secret. Location: 14 miles East of Groveland, and only half a mile from this motel. Take a right just before the big bridge. Hetchy Hetchy Reservoir – At this 65 mile reservoir in Yosemite National Park you can walk across the dam, go through a tunnel, and then hike easily around the lake (about 1.5 miles) passing several little waterfalls. Many people swim where the waterfalls drop. 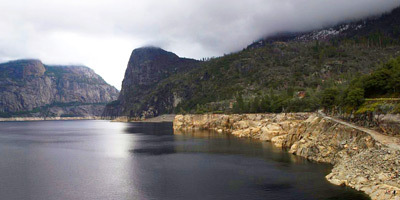 Location: From California 120, 1 mile west of Big Oak Flat entrance station, take the Hetch Hetchy turnoff and follow Evergreen Road, then Hetch Hetchy Road 16 miles to its end at the parking lot above the dam and reservoir. Cherry Lake – Cherry Lake is well known for its boating, swimming, and fishing. You cannot rent boats here. This lake is much less crowded than others. Location: a few miles from the northwestern border of the Yosemite Park. As you can see, Yosemite Park makes for an excellent vacation. View our activities page for more things to do in Yosemite and vacation information. Stay at our Groveland motel located just 15 minutes from the Big Oak Flat Park entrance near Groveland, California for excellent, yet affordable accommodations.